Once a month, I will be doing a coaching call, to add to your weight loss arsenal! More information that will take you to the next phase of your health and fitness lifestyle! 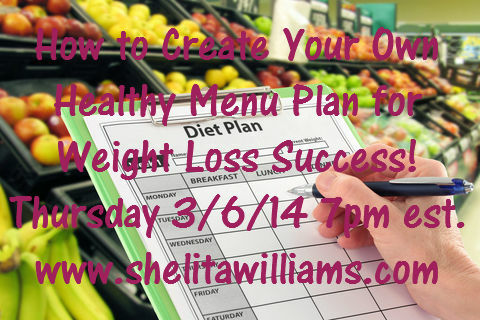 How to Create Your Own Menu Plan for Weight Loss Success! CLICK HERE to access call! Welcome to the “RIL Fitness Coaching Program”. My name is Shelita Williams, your health and fitness coach and I will be taking you through this program. Each month we will have a new theme, with new and exciting workouts, recipes and coaching calls! Black Bean Brownies, Cauliflower Crust Pizza and MORE!